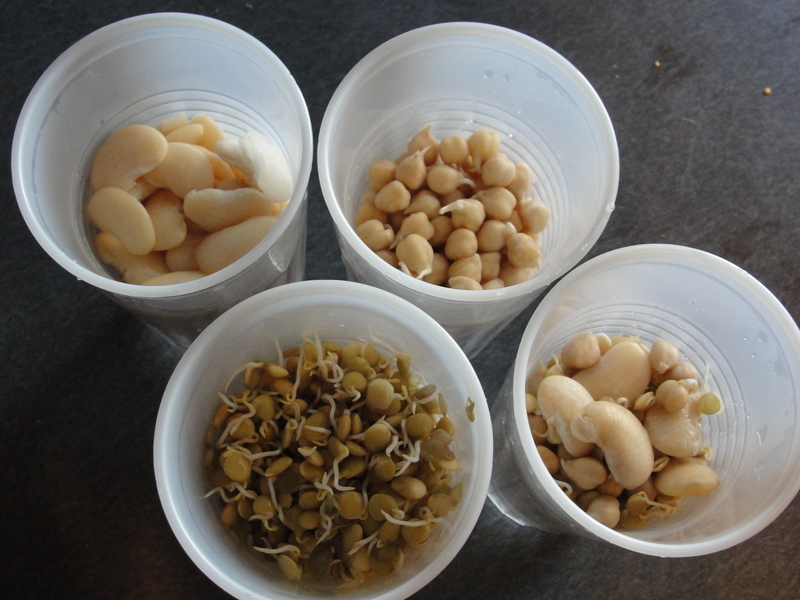 I recently read a book called Sailing the Farm which talked about the nutrition benefits of sprouts and how they can be a great food while out at sea. 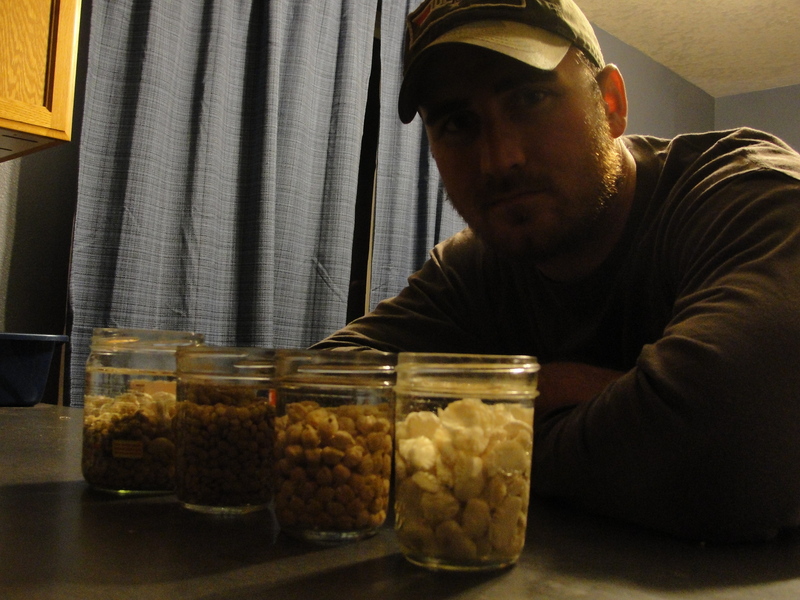 Sprouts provide a way to bring nutrient dense foods to remote areas. This is important for me as I’ll be teaming up with some other friends to do agricultural work in 3rd world countries in the near future. 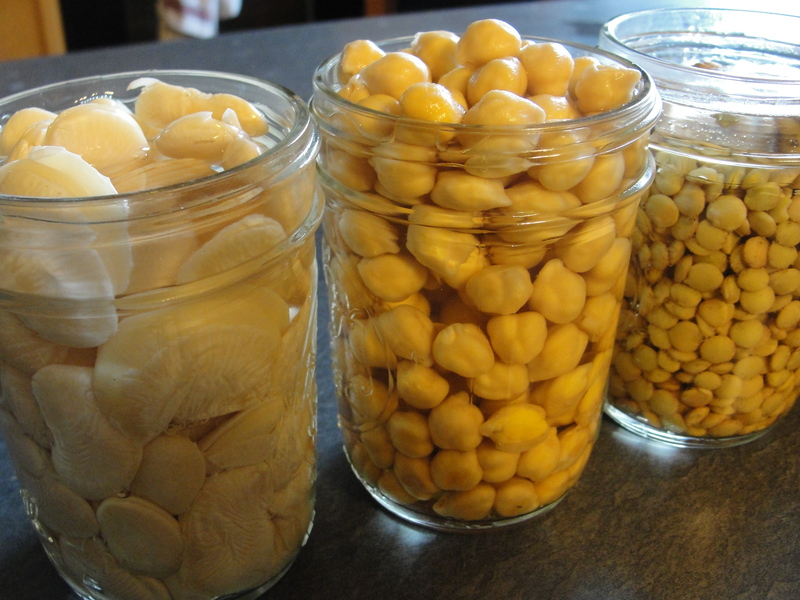 Sprouts could be a way to offer nutrition until our operation is fully functional and the crops that I plant are able to be harvested. 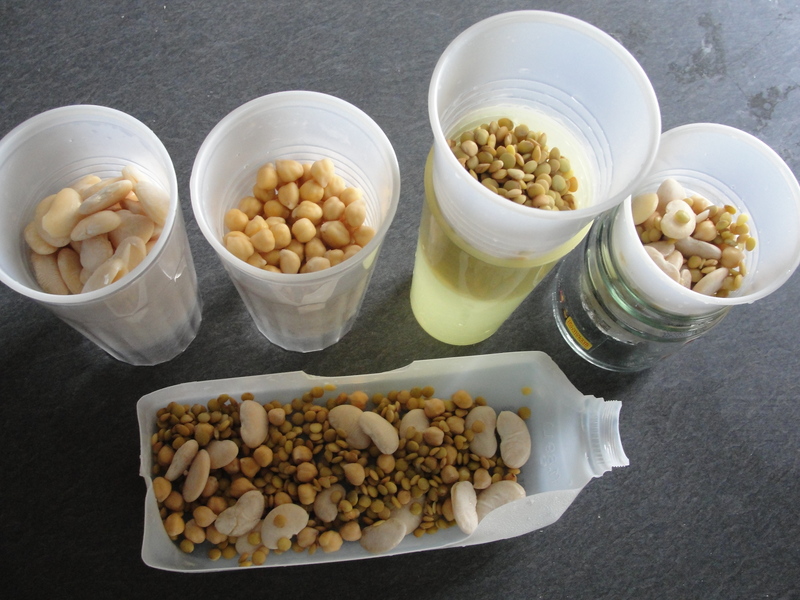 In this experiment I used lima beans, garbanzo beans, and lentils. I soaked them in water overnight. The following morning I put them in plastic cups with holes drilled in them so that air could circulate and the water could drain. Twice a day I rinse them with water and allow them to drain. I add the sprouts to some of my meals and to my morning fruit smoothie. After soaking in water overnight. I think I am a little behind the curve on this one. So you wait until they “sprout” to consume them?